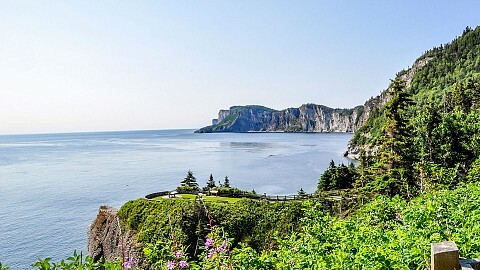 The five regions of Gaspésie have each their own personality. Together, they form the out of the ordinary, vibrant, welcoming and gourmet journey that is Gaspésie. Discover them! Once you arrive in Sainte-Flavie via Route 132 or in Mont-Joli via Highway 20, you can choose to start your itinerary either by the South or the North tour. Here, Route 132 splits to form an itinerary loop of approximately 885 km. Whatever your decision may be, all through your journey you are sure to find the most diversified and picturesque sea and mountain landscapes, valleys, bays and coastlines. Enchantment ensured by the charming coastal villages of Haute-Gaspésie, between the incredible cliffs and the Gulf of St. Lawrence, as far as the eye can see. Climb the Chic-Chocs, an incredible playground for hikers, bringing together the highest peaks in southern Québec. In search of adrenaline? Try the adventures of hang-gliding, canyoning or an off-road safari! Discover 130 kilometres of shoreline, rivers, abundant flora and fauna, including a herd of caribou! Explore spectacular coastal landscapes with winding roads and steep cliffs. Let yourself be carried away in a whirlwind of culture. Flying with the rhythm of renowned music festivals, Land's End also welcomes you to its many museums, interpretive sites, and heritage sites. Put yourself in a postcard among its famous natural jewels, including Percé Rock and Forillon Park. The latter, marking the continental end of the Appalachian, invites you to the "end of the world"! Experience the excitement of Chaleur Bay, a happy setting of an explosion of restaurants, shops, bakeries, cafés, and other charming businesses. The whole family can have fun in its salted water, ideal for swimming and water sports. In the evening, find yourself around a bonfire, near the cottage... Dream of the clear Bonaventure River, and countless opportunities for sports and cultural activities to discover. 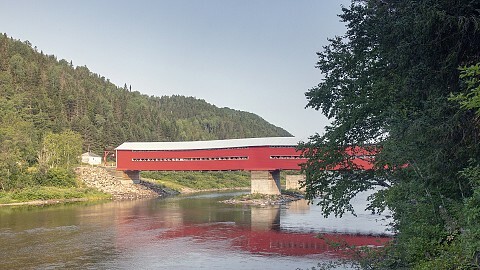 Let the Valley unveil its superb architectural heritage through its churches, historic sites, and covered bridges. Salmon fishermen, follow the meanderings of the world famous Matapédia River in search of the most beautiful aquatic specimens! Hikers, climb mountain trails with beautiful views to better admire the vast network of rivers and lakes that make it a fishing paradise.